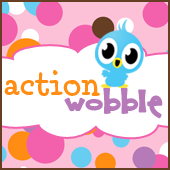 Hello fellow wobblers!! 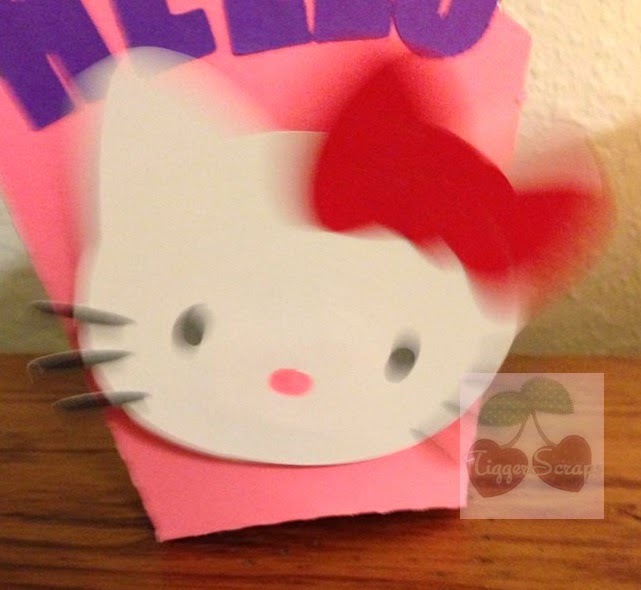 TiggerScraps here, I'm sharing a fun project today from SVG Cutting Files. 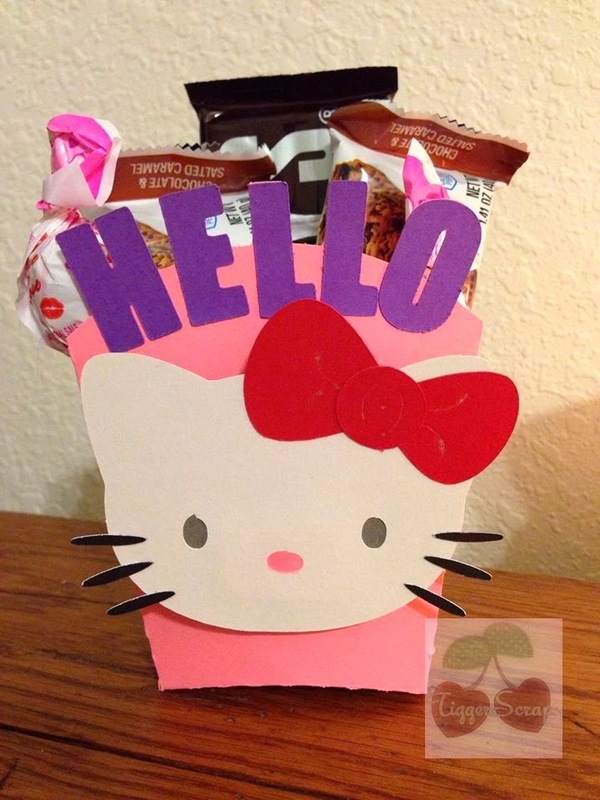 They did a Hello Kitty hop last weekend and this was one of the free files. As soon as I saw it I knew what my next project would be. 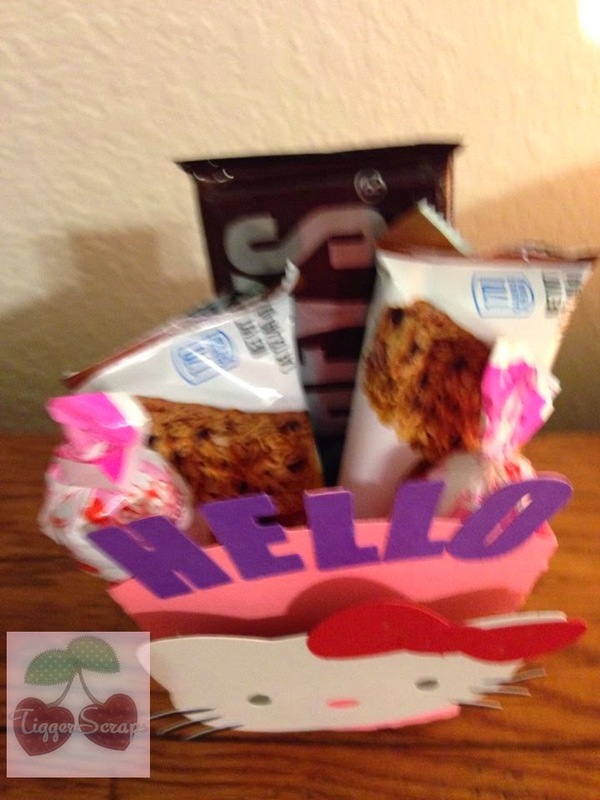 I used traditional Hello Kitty colors and filled the box with yummy snacks. 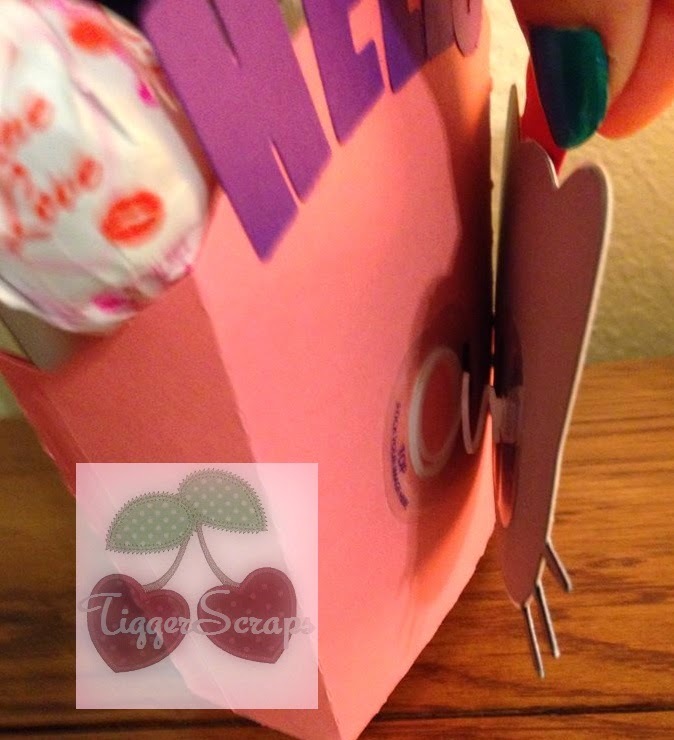 I mounted her head with an action wobble, this is a fun little gift box, and yummy too!! Be sure to join us in the current challenge, washi tape! Who doesn't love washi?